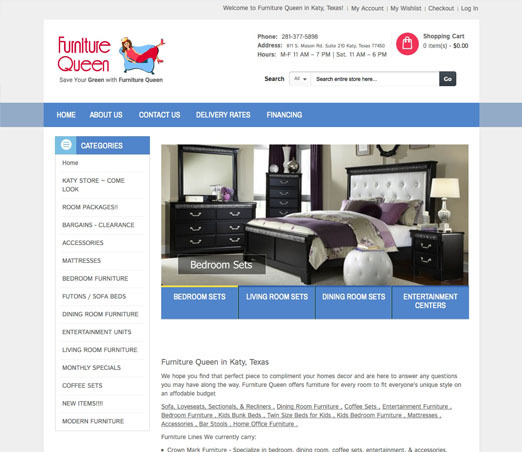 Furniture Queen is a furniture company which is based out of Katy, Texas. They provide great deals on furniture and furniture sets to the surrounding areas near Katy, Texas. 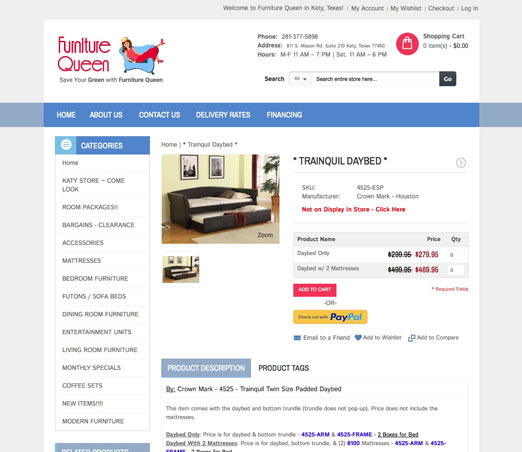 Furniture Queen migrated over to Neoverve after the shut down of Ebay's ProStores. 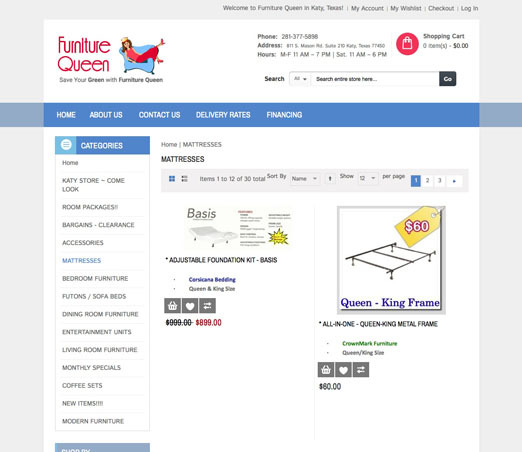 Upon migrating over, Furnture Queen decided to go with a purchased Magento Template plus customizations. 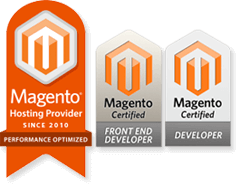 Since then they have grown and received so much traffic to their website where they decided to upgrade to a Dedicated Hosting package.